What Comes with Your Free Quote? 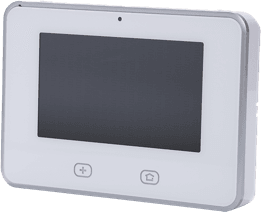 The SkyControl™ Panel is the heart of your home’s security and automation. 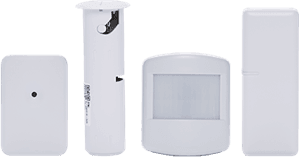 It does much more than arm and disarm the system—it also connects to security professionals who are available 24/7, gives you access to your camera monitors, and lets you control the temperature and easily change settings. Managing your home’s security and comfort has never been easier. Even though it controls all your home’s systems at once, the SkyControl™ Panel is anything but too complicated for the typical user. Quite the contrary: it’s intuitive and easy to use. That’s the beauty of Vivint technology and home automation. The Vivint Smart Home App lets you feel at home even when you’re out. Check on your kids, control the temperature, or access security cameras—all from your phone. You can also customize alerts to get notifications about the issues that matter most to you. And with help from Sky, the app’s built-in assistant, security will be easier—and smarter—than ever before. Want to start cooling your home when you leave the office? Concerned you might have forgotten to close the garage door? 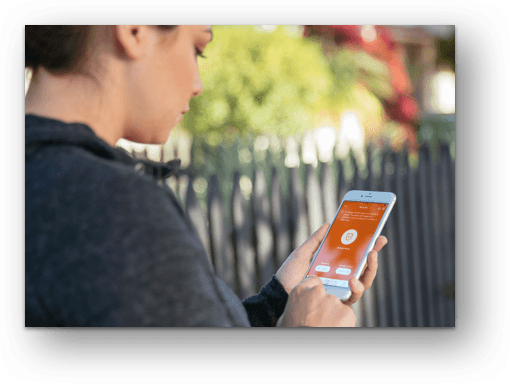 The Vivint Smart Home App can handle any of your needs and address any concerns. Security, safety, and reassurance are just a click away. The app also connects you to your family. Get alerts on who arms the security system or what time your kids get dropped off from soccer practice. 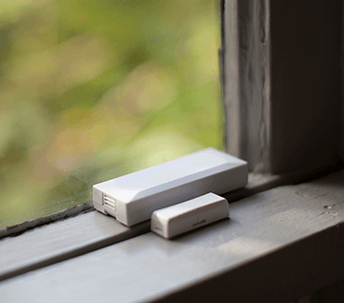 Sensors on your doors and windows form the first line of defense against intruders. 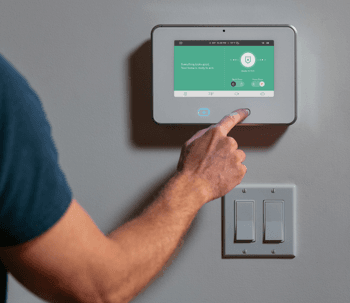 When someone tries to open a door or window after you’ve armed the house, your sensors notify the SkyControl™ Panel, which immediately connects you with the Vivint security team. Wireless sensors also notify you and the control panel of broken glass. Never be caught unawares by a break-in again. 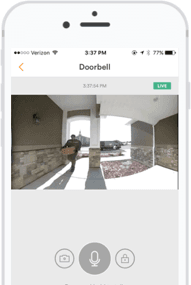 Vivint home automation gives you tools like a doorbell camera that you can access from your phone. You can unlock the door or open the garage to let a delivery person drop off a package, lock the door or shut the garage behind them, control the home temperature from your office—and practically anything else you can imagine. 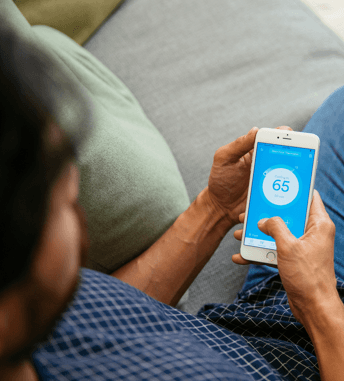 And since Vivint smart home technology is compatible with both Alexa and Nest, you even have the potential to control home services like your thermostat with your voice. Sky, your home automation assistant, is a learning tool. Over time, it picks up on your habits, learns when you tend to be home or away, and adjusts your temperature accordingly. Thanks to Sky, your home can be more comfortable than ever, and you’ll minimize both your energy costs and environmental impact. Since Sky knows when you’re away or on vacation, it also has the tools to ensure your home stays safe the entire time you’re gone.